What is a Missouri Lawyer? A Missouri lawyer is an attorney who is barred in the state of Missouri and is permitted to practice law within the state. In order to be a Missouri lawyer an individual must have graduated from an accredited law school within the United States or have done comparable training that meets the standard requirement of the Missouri Bar Association. In order to be barred in the state of Missouri a Missouri lawyer must have passed the bar exam, the MPRE and have passed the character and fitness evaluation performed by the state. In addition to passing the bar exam, to be a Missouri lawyer an applicant must pass the Multi-State Professional Responsibility Exam, or MPRE. The MPRE is a standardized 60 multiple choice question exam that gauges an applicants ability to understand and implement ethical situations dealing with the practice of law. The questions encompass areas including fees, advertising, privileges, disclosure and a number of other issues that examine the applicants ability to practice law. Missouri requires a passing score of 80 in order to become a Missouri Lawyer barred in the state. The final step to becoming a Missouri Lawyer is to meet the character and fitness qualifications of the Missouri Bar Association. Due to the high position of responsibility that comes with the privilege of practicing law each state requires an individual to submit a character and fitness form that is evaluated by a state commission. This form will consist of all relevant information that will enable the bar association to investigate the applicant and determine whether they are worthy of the ability to practice law. The bar association will ask for all relevant information including criminal record, previous addresses, educational background and military service. The character and fitness commission will also request fingerprinting and official transcripts from educational institutions. As a Missouri Lawyer, an individual is held to higher standard of conduct because of the ability of an attorney to take advantage of those individuals who are not familiar with the law. Where can I find if a Missouri Lawyer is in good standing? How do I report Disciplinary Action against Missouri Lawyers? Disciplinary actions against Missouri Lawyers are serious matters. Missouri Lawyers are responsible for upholding the ethical and legal aspects of the profession on a 24/7 basis. If a Missouri lawyer is not upholding his ethical responsibilities or is deficient in his or her ability to represent you then that matter should be brought to the attention of the Missouri Bar Association. Upon the filing of a complaint the Missouri Bar Association will assign the complaint to the Office of Chief Disciplinary Counsel; an independent body appointed by the Missouri Supreme Court to receive and process complaints. If the Office of Chief Disciplinary Counsel feels, after an investigation, feels that the allegations are credible then they will prosecute the Missouri Lawyer. At all times from the beginning of an investigation up to the prosecution for disciplinary action by the Office of Bar Counsel the matter is confidential. If the complaint results in disciplinary action against the Missouri Lawyer then the matter will become public record that can be discovered on the Missouri Bar Associations website. To report disciplinary complaints to the Missouri Bar Association you can call the Office of Chief Disciplinary Counsel at 573-635-7400 to lodge your complaint. Before hiring a Missouri lawyer you want to know where you will be litigating. The availability of your Missouri Lawyer will depend on how far he or she will have to travel to prepare depositions, interview witness, investigate and appear in court. You may also want to consider filing in a court that will be more accessible to witnesses that are essential to the case. The Missouri state court system is divided into four levels. Missouri has a number of district courts and 45 circuit court, one for each county, that hears appeals from the district courts. After that there is the Appellate division comprised of three courts which hears appeals for lower courts. Finally there is the Supreme Court of Missouri, the highest court in the state. What questions should I ask a Missouri Lawyer? ■	Are you barred in the state of Missouri? Missouri Lawyer Weekly is an essential publication for members of the Missouri bar. The Missouri Lawyer Weekly tracks all current data that may be useful to an attorney practicing law in the State of Missouri. The Missouri Lawyer Weekly include constant updates of state and federal court decisions, changes in court procedures, verdict and settlement reports, public notices and foreclosures and public records. The Missouri Lawyer Weekly also keeps track of data concerning disciplinary notices concerning members of the Missouri Bar. To subscribe to the Missouri Lawyer Weekly you can go to www.molawyersmedia.com and register with the website. 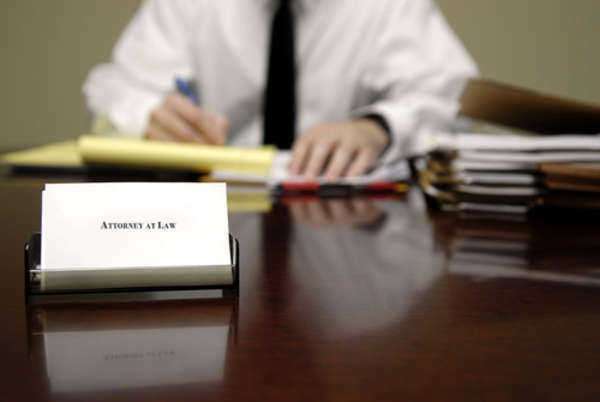 A Lawyer in Missouri is an attorney who is barred and in good standing with the Missouri Bar Association and able to practice law within the state of Missouri. In order to find a lawyer in Missouri you can go to the top of the laws.com website and click on “find a lawyer.” By putting in the requested information you will be directed towards a list of Lawyers in Missouri who can help with your particular problem. There are many distinctions between Missouri law and the laws of other states in the Union. Missouri, unlike most states in the Union, does not follow the Federal Rules of Evidence. Rather a Lawyer in Missouri should be exceptionally knowledgeable about common law involving evidence in the State of MIssouri. Lawyers in Missouri must show a high standard of ethical and moral character. Beginning with the application to the Missouri bar Lawyers in Missouri must show that the meet the character and fitness requirements necessary to practice law. The government puts a high standard on ethics in the practice of law do to the position that Lawyers in Missouri are in. They are often in a superior position than their clients, and even those who they interact with on a daily basis, and are expected to represent the field and the bar association in the proper manner. Lawyers in Missouri are required to take a certain number of credit hours in continuing legal education every year after they are barred in Missouri. This includes at least 2 hours of continuing legal education in ethics and professional responsibility.